Yellowstone as it was in 1916, the year Woodrow Wilson signed the enabling legislation creating the National Park Service. President Grant had established Yellowstone itself as a national park forty-four years earlier. With 2015 now in the books we can officially declare an end to the Civil War sesquicentennial. Some pundits claimed it to be underwhelming, but I believe our understanding of the events of 1861-65 is clearer now than it was five years ago. Visitation was up at the Civil War sites, and various bloggers did an outstanding job of telling the story. Scores of others contributed as well. That said, it is a cruel irony that it took the terrible events in Charleston this past June to bring the Civil War’s legacy into most of America’s homes. When they write the history of the Civil War sesquicentennial forty-five short years from now during the bicentennial, Charleston will be a big part of the narrative. 2016 marks the 100th anniversary of the creation of the National Park Service. National parks themselves date back to the Ulysses S. Grant Administration, and were further aided during Theodore Roosevelt’s tenure when he signed the Antiquities Act in 1906. Woodrow Wilson signed the legislation creating the Park Service itself a decade later. There are few NPS sites relating to WW1 in the United States; most of that work is carried out by the American Battle Monuments Commission overseas. Governors Island here in New York is about the closest one gets to an NPS site relating to WW1. (It is so much else besides that too of course.) I don’t have many details to give away just yet, but this coming summer on Saturday July 23 the National Park Service and the World War One Centennial Commission will be co-sponsoring a day-long event commemorating the First World War. I can’t tell you how excited I am about this and will share more detail as they come. This is the first I am mentioning of it publicly. The National Park Service theme through December 31st is Find Your Park. Wherever you are, I encourage you to visit the various natural and historic wonders that are waiting to be discovered. And if you live in the New York area, please mark your calendar for July 23 so you can make it out to Governors Island. 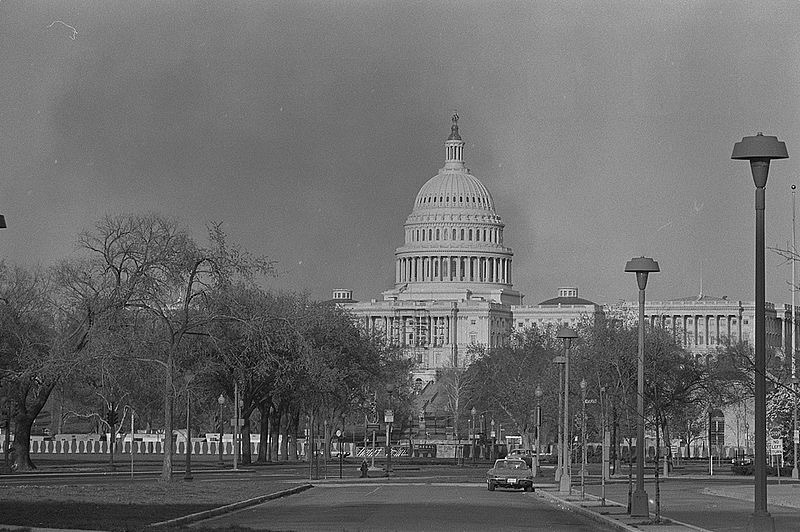 Smoke rises visibly above the U.S. Capitol on 8 April 1968 in the wake of the assassination of Martin Luther King Jr. I was at a history-related gathering earlier this week, present at which was a representative of a New York-based military heritage organization. This gentleman was in his seventies and had obviously been involved in his organization’s activities for many years, if not decades. What struck me was that as he was discussing his group’s plans for the WW1 centennial in 2017-18 he made reference to the 1960s. Specifically he was explaining what a tough sell the Great War was at the time given the events of the period. One can imagine that it was. Those who followed the Civil War sesquicentennial are aware that the 150th was a conscious effort to correct the failures of the centennial. The pageant that such organizers as Ulysses S. Grant III envisioned quickly collided with the realities of the Civil Rights Movement. Instead of a Cold War celebration of national strength and unity, it all turned into a convoluted mess. And for good reason. The same thing happened, in a slightly different way, for the Great War 50th. Nineteen sixty eight was the year of the Tet Offensive, the MLK Jr. and RFK assassinations, the rioting at the Democratic National Convention and so much else. The 50th anniversary of the Armistice fell obviously on November 11, 1968, less than a week after the election that put Richard Nixon in the White House. France too was turned upside down at this time. The Events of May brought down Charles de Gaulle and nearly the Fifth Republic. What is more, in the late 1960s the French were only just grappling with the occupation–and the collaboration–they had lived through under the Germans during the Second World War, less than twenty-five years earlier. The Great War has a larger place in the memory of the French than the Americans; this is understandable given that most of the fighting on the Western Front took place in France. Given all that was taking place at the time however, I don’t know if the French had the heart to look back and commemorate the Great War. Maybe they did, finding in it some unity and solace. Again, I don’t know. It would be interesting to have a compare-and-contrast between how the Americans and the French looked back at the war through the lens of the turmoil of the late 1960s. Some readers will remember this post from early January. 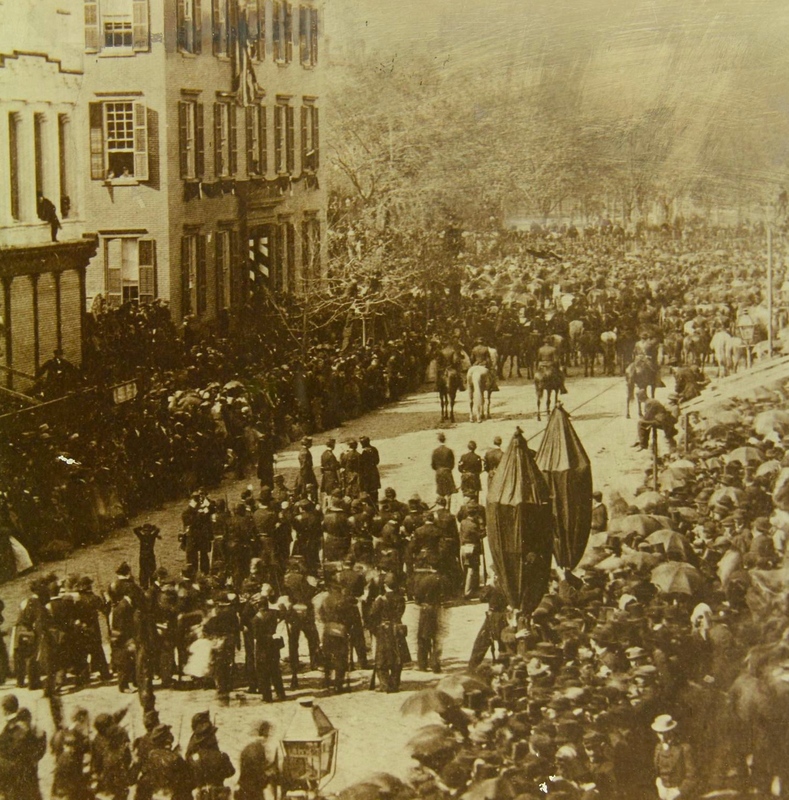 I am posting it again this morning to commemorate the 150th anniversary of Abraham Lincoln’s funeral procession passing through New York. Young Theodore Roosevelt and his brother Elliott were in the second story window watching the ceremony. Needless to say this is going to be a big part of my interp today. Today also happens to be my final day at the Roosevelt Birthplace. It is closing for an extensive renovation on May 1. A few of us got talking yesterday afternoon at the TRB about the famous image of Theodore and Elliott watching Lincoln’s funeral from their grandparents’ window. This is a well-known photograph and very much part of both the Lincoln and Roosevelt iconography. Still, I had always had trouble visualizing the exact spot, in part because Broadway does not run a straight line but cuts diagonally through Union Square. 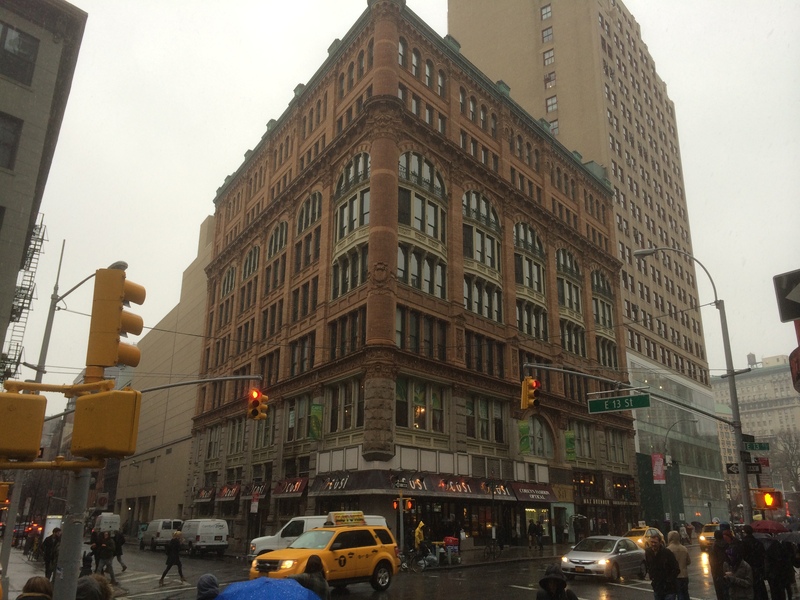 It’s hard to visualize but the southwest corner of Broadway stands adjacent to the northeast corner of the southern tip of Union Square. See what I mean? Anyways I printed out a NYT article about a building that stands today on this same property. 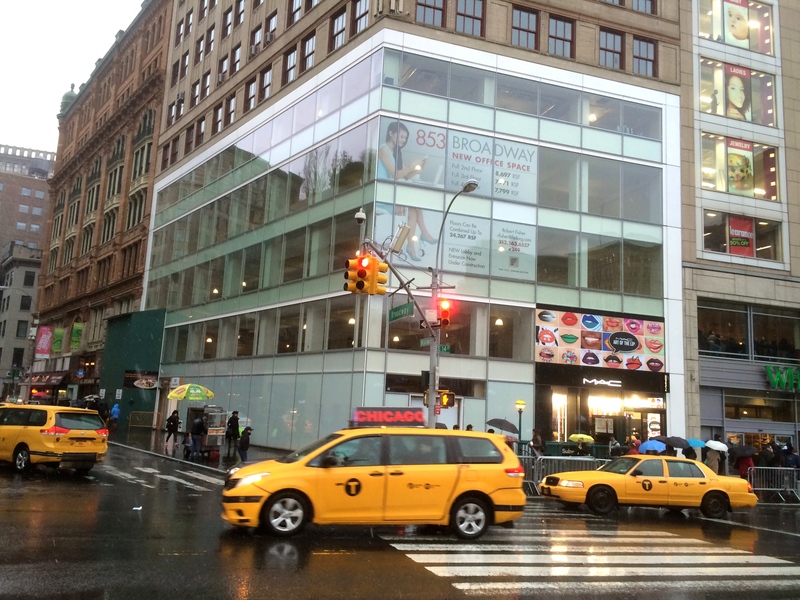 Oddly enough, one of the rangers just wrote a Facebook post about 841 Broadway that will appear in the next week or so. 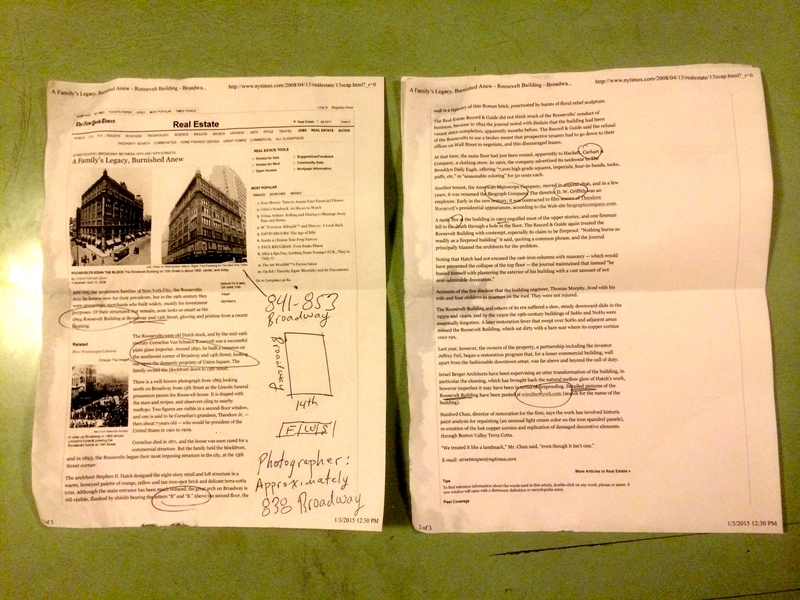 With printed article in hand and a few scribbled notes I headed out after the 1:00 tour to get to the bottom of things. Looking south from Union Square, 14th Street and Broadway. 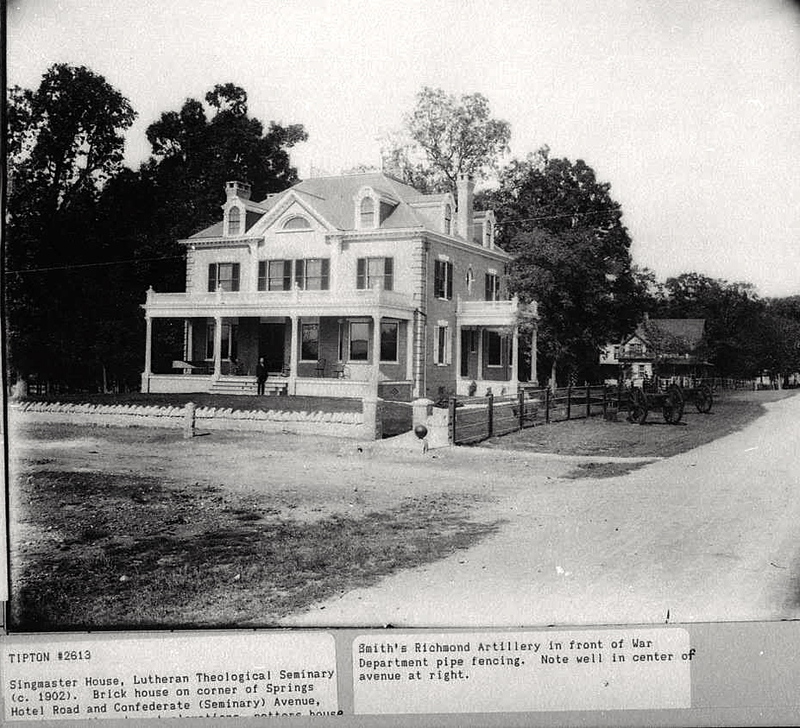 Cornelius and Margaret Roosevelt’s house stood where the glass, white building is today. Here is the view looking north from 13th Street and Broadway. The building here in the foreground was built on the Roosevelt property in the 1890s. For more, here is a link to the article I pictured above. When I got back one of the rangers and I began investigating on Google maps and figured the funeral image was taken south of where I took this photo. I intend to do more digging but the Lincoln/Roosevelt photograph was taken at approximately 838 Broadway. If you know this area, that would be just north of the Strand Bookstore. A detail on 841 Broadway:. Look closely above the arch. On the left is an R and on the right a B, which stand for Roosevelt Building. Yes, that is falling snow that you see. Longtime Strawfoot readers will recognize this post. 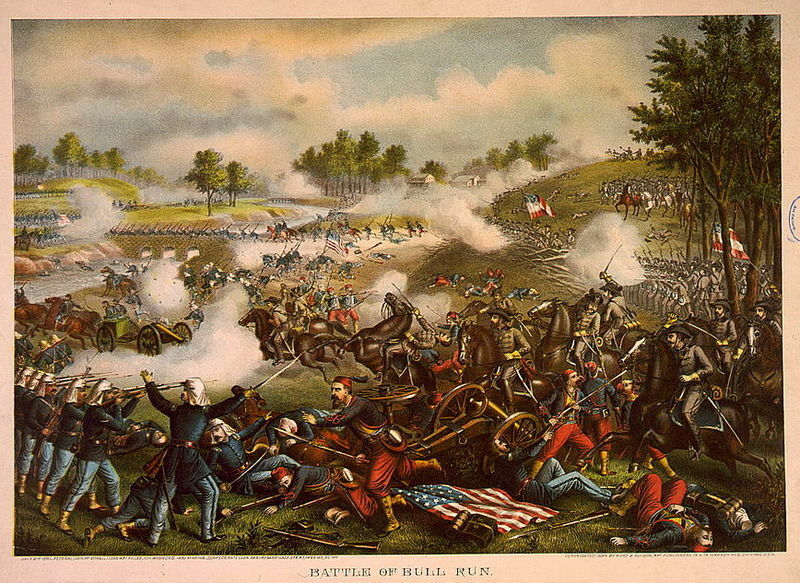 I wrote it on September 17, 2012 for the 150th anniversary of the Battle of Antietam. I reposted it again on July 1st 2013 for the sesquicentennial of the first day’s fighting at Gettysburg. Now, for the final time, here it is on the anniversary of Appomattox. It is difficult to believe the Civil War Sesquicentennial is ending. When it began with the remembrance of John Brown’s raid in 2009 I had just gotten married and my father was still alive. Today is the 150th anniversary of the Battle of Antietam, the bloodiest day in American history. Last night my wife and I were watching some of the C-SPAN and other coverage, which led to a conversation about the Civil War’s role in my life. Some things have the ability to captivate us always. My list includes the Beatles, New York City, Elvis, both World Wars, Rod Serling’s The Twilight Zone, Sinatra, and the American Civil War. Don’t ask me to explain; how does anyone know from where in the human imagination such interests arise? Now middle-aged, I have nonetheless reached that point where I am so removed from the events of my younger days to see where the roads turned. For me, the Civil War path has taken several twists. The first was when I was ten and my uncle gave me a book of Matthew Brady photographs. 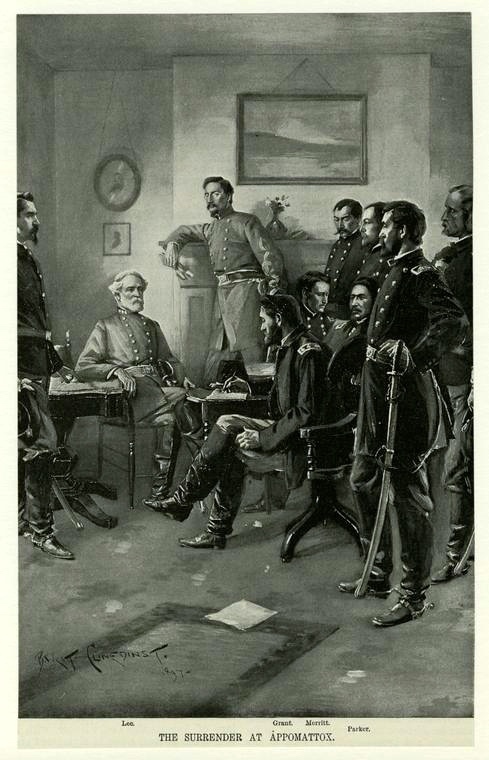 I was too young to pick up on at the time but the book was a reprint of Benson J. Lossing’s History of the Civil War. Thankfully I was also too young to read the dense prose. If I had I might still be influenced by its early 20th century take on the War of the Rebellion. It was something like the Time-Life books about the Second World War many people had in their living rooms in the 1970s and 80s. Fun to look at, but not especially reliable. Still, the Civil War photo were captivating, especially to a latchkey kid whose parents had uprooted him from his home in Connecticut and transplanted to Florida before divorcing two years later. I lost the book over the years until seeing it again for $10 in a Border’s a few years ago. I shelled out the money but eventually gave the book away, worried about the accuracy not just of the text but even the captions on the photographs themselves. For starters, we now know that many “Brady” photos were actually taken by Alexander Gardner, Timothy H. O’Sullivan, or other members of Brady’s studio. The captions on old photographs are often wrong as well. I have read my Frassanito. I got away from the Civil War during my high school and college years but had my interest piqued again when Ken Burns’s documentary was released in 1990. It is a dramatic film, beautifully choreographed, that inspired many of us to delve more into the literature. This in turn led me to purchase Bruce Catton’s American Heritage Picture History of the Civil War when it was re-released with updated maps, art work, and photographs in 1996. At this time I was going to graduate school and working fullltime at a large chain bookstore to make ends meet. Often I worked until midnight and came home too wound up to go to sleep immediately. I would sit at my tiny kitchen table eating my 1:00 am dinner and reading Catton’s lyrical prose. I was still too young and unaware that Catton was part of any historiographical “school.” Ironically, I never took a Civil War class in either grad or undergraduate school. This is especially unfortunate because I did my undergraduate work at the University of Houston and could have studied with Joseph Glatthaar. The next turn came with the release of Tony Horowitz’s Confederates in the Attic in 1998. Many readers enjoyed it for its anecdotes about the levels of farbiness one finds at Civil War reenactments. What I most took from the book though was how little we know about the war, despite the tens of thousands of books written on the subject. Self serving regimental histories. Lost Cause mythology. The foggy memories of aging veterans visiting the battlefields of their youth. Flaws in the Official Records of the War of the Rebellion. It was all new to me. It was (and is) terrifying also to think that everything one knows about something could be wrong. Even worse is realizing that there might be no way ever to know the full story of something, even by extension one’s own life. 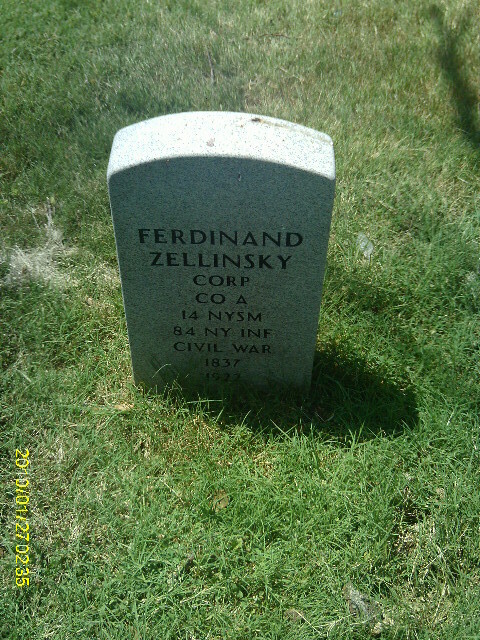 The next year I visited Shiloh for the first time when I went out to visit my dad. 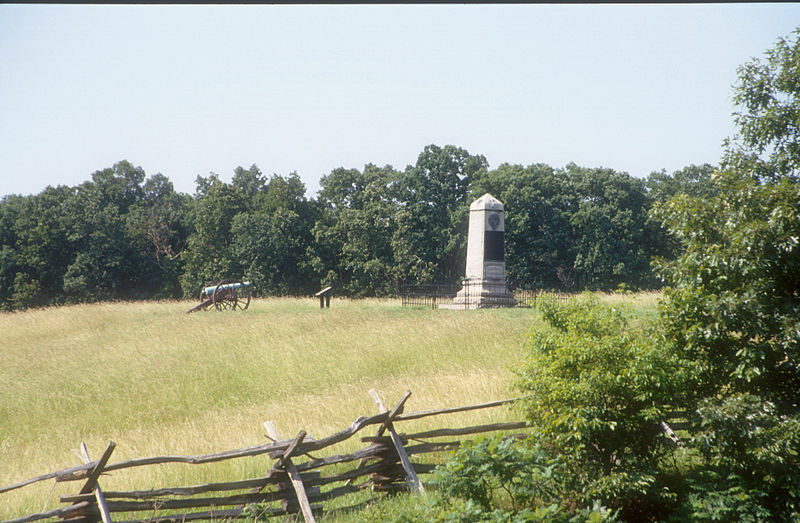 Other than a quick one hour stop at Fredericksburg in 1997 when I got off the freeway during my move to New York, I had never visited a Civil War battlefield before. After that we visited Pea Ridge, Vicksburg, and Shiloh again. This is where I became fixated on the myths and memory of the war. In 2008 I visited Gettysburg for the time, and the following year I went back with the woman who became my wife a few months later. That year we also went to Sharpsburg in what has become something of an annual pilgrimage. There is no substitute to walking a Civil War battlefield. On that same trip we also visited Harper’s Ferry on what was the anniversary year of John Brown’s raid. This got me thinking harder about the sesquicentennial and the opportunity it presented to think harder about American Civil War and its place in our history. I never romanticized the Civil War–and I was certainly never a Lost Causer–but I believe I think more critically and less sentimentally about that conflict than I might have when I was younger. This in turn led to another path, the one I am on now, where I started this blog to make the leap from buff to serious writer. I feel I am now finding my niche, which include the Civil War in New York, and Civil War veterans in the Gilded Age among other aspects. In a nutshell that is the Civil War in my life. Last night, looking at the images from over the weekend on the Antietam NPS Facebook page, I couldn’t help but wonder how many of the children taken to the event by their parents will become captivated by this tragic event in our history. Some will forget almost immediately, but years from now others will look back on the commemoration of 2011-2015 as the spark that started it all. I got my sesquicentennial on last night and went to St. Francis College in Brooklyn to see a one-person play about Gettysburg. The show, appropriately enough, was titled Gettysburg: One Woman’s War and starred actress Michele LaRue. The play was actually three separate stories, each based on a different moment in Gettysburg history: 1 July 1863, 19 November 1863, and the 50th anniversary in 1913. These stories were all written by Elsie Singmaster, who I must confess I had never heard of until yesterday. 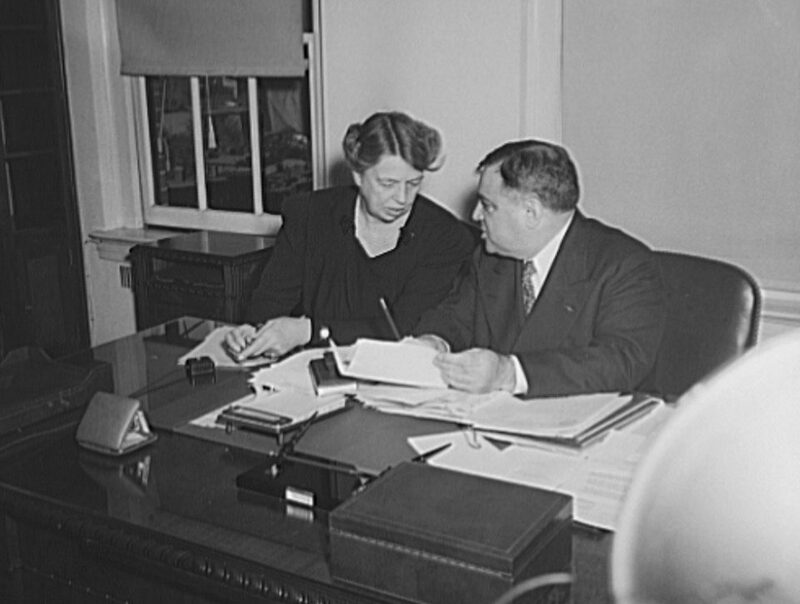 Singmaster was born in 1878 and, unfortunately for her legacy, has been tagged a “regional writer” for her many works on the Pennsylvania German community. Her star seems to have risen in recent years with the rise of Women’s Studies, though any type of labeling is fraught with its own pitfalls. I had a brief but pleasant conversation with Ms. LaRue after the performance during the reception. I told her that my favorite place in Gettysburg is Evergreen Cemetery because so much of the town’s history is there in front of you. She got a kick out of that. The vignettes Ms. LaRue adapted all came from Singmaster’s 1913 collection Gettysburg: Stories of the Red Harvest and the Aftermath. One can check it out online if so inclined. There has been a great deal of discussion in the blogosphere the last week or so about African American attendance at Civil War related sites. 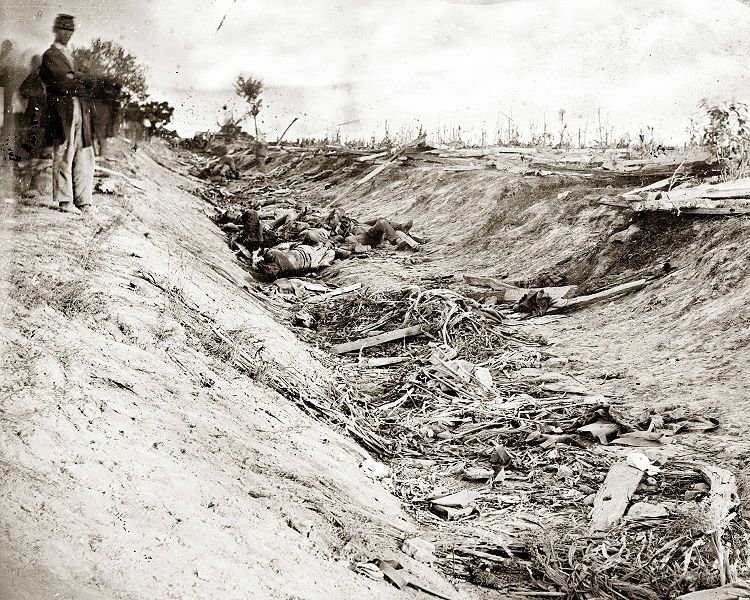 The hope leading into the Sesquicentennial was that the changes in scholarship and interpretation since the Centennial would lead to increased African American attendance at Civil War battlefields this time around. Now that we are two and a half years into the 150th anniversary it seems clear that this is not the case. It is something that my wife and I speak a lot about when at Gettysburg and elsewhere. Anecdotally I would say we have seen very few black folks at battlefields, and it is not something I see changing anytime soon for myriad reasons. One aspect of heritage tourism that has changed, though, is the increase in African American visitation at other historical sites and monuments. The increase is readily apparent on the National Mall and will increase exponentially when the African American Museum opens in 2015. It is not just there, though. Yesterday’s USA Today has more. It is important to acknowledge the progress that has been made. I wrote the piece below for the Antietam 150th and decided to republish it today for the anniversary of the Battle of Gettysburg. Between now and 2015 I will probably re-post it yet again for the remaining major milestones of the war. 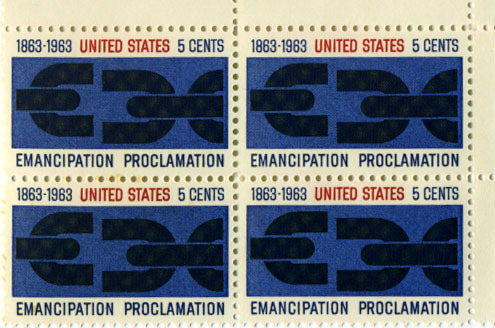 It is hard to believe that the sesquicentennial is more than half over. Hey all, I thought I would send off a quick missive before heading back to New York City. I am typing this from our apartment in DC. About an hour ago I dropped off the rental car before hopping on the Shady Grove metro. We had a great time in Gettysburg this past week. We did it right by going the week before the battle anniversary. The crowds were heavy but manageable up until yesterday. Thursday (yesterday) morning it suddenly became REALLY busy, as in Times Square busy. That said, I must say that the Park Service had things under control; the hard work of the last several years made a clear difference. It was fun being in the VC and talking to folks from all over the country. Many of the people there were reenactors in town for the first of two events taking place in the next couple of weekends. Reenacting is not my thing, but to each his own. The only hiccup so far was a power outage at the Visitor Center on Wednesday morning caused by a powerful summer storm the evening before. People milling around said traffic lights were not working in parts of town as well. When I came back later in the afternoon everything was back to normal. Yesterday afternoon as I was coming down Taneytown Road I noticed workers building a huge stage near the Leister Farm (Meade’s Headquarters). The adjacent Ziegler’s Grove looks great sans the old cyclorama building. When we picknicked there one day I wondered aloud how many 2013 first timers will be unaware it ever existed. Such is the evolution of the park. The battle anniversary is of course July 1-3, which is next Monday-Wednesday. The downside to that is that the weekday schedule may impact television coverage. I am going to check the tv listings to see what C-SPAN has scheduled over the weekend through next week. This is really a once-in-a-lifetime thing. Make time. Here is video of the program held last week. This is one of the great events of the Civil War sesquicentennial.